Kids (and adults) with attention deficit hyperactivity disorder (ADHD) have difficulties staying on task or finishing things, and while there are other problems associated with it, these two symptoms alone can make life tough. There are facts you should know about ADHD and here are the four most disturbing. People who have ADHD likely wonder, just what caused this? Well, a recent report suggested it could be environmental and that an ADHD diagnosis could be connected to childhood trauma. For example, things like the death of a parent or domestic violence are termed ‘adverse childhood events (ACEs).’ The more ACEs in a child’s life, the more likely it is that child has (or will be diagnosed with) ADHD. 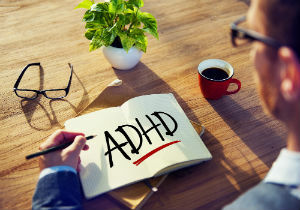 Recent evidence suggests that the implications of an ADHD diagnosis can be far more serious than simply not completing tasks. In a multi-decade study following almost 2 million people, those with ADHD (about 32,000) were twice as likely to die earlier. If that wasn’t bad enough, those deaths were often from unnatural causes — usually accidents. The risk of dying also went up based on a person’s age at diagnosis, and women and girls with ADHD were at a higher risk of early deaths than men and boys. 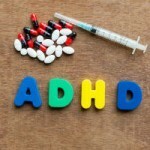 What do you think about ADHD? Tell us about it in the comments. American Academy of Pediatrics. Study finds ADHD and trauma often go hand in hand. ScienceDaily. Dalsgaard, S. et al. Mortality in children, adolescents, and adults with attention deficit hyperactivity disorder: a nationwide cohort study. The Lancet. Holz, N. E. et al. Effect of Prenatal Exposure to Tobacco Smoke on Inhibitory Control. JAMA Psychiatry. Richardson, J. R. et al. Developmental pesticide exposure reproduces features of attention deficit hyperactivity disorder. The FASEB Journal. Gellad, E. F. et al. Geographic Variation in Receipt of Psychotherapy in Children Receiving Attention-Deficit/Hyperactivity Disorder Medications. JAMA Pediatrics..
Conrad, P. & Bergey, M. R. The impending globalization of ADHD: Notes on the expansion and growth of a medicalized disorder. Social Science & Medicine. Bourgeois, F. T. et al. Premarket Safety and Efficacy Studies for ADHD Medications in Children. PLoS ONE. 9 (7). Hoza, B. et al. A Randomized Trial Examining the Effects of Aerobic Physical Activity on Attention-Deficit/Hyperactivity Disorder Symptoms in Young Children. Journal of Abnormal Child Psychology. 43 (4). Huber, R. S. et al. Association Between Altitude and Regional Variation of ADHD in Youth. Journal of Attention Disorders. Mattfeld, A. T. et al. Brain differences between persistent and remitted attention deficit hyperactivity disorder. Brain. 137.